The Wordsworth Trust is “the finest literary museum in the world”, and one of the Lake District’s leading heritage attractions. Their Designated collection inspires a range of award-winning educational and artistic activities. Through a contemporary literature programme they link the creativity of the past with that of the present. The Wordsworth Trust is part of the Cumbria Museum Consortium, along with Tullie House Museum and Art Gallery Trust and the Lakeland Arts Trust. The Consortium was awarded Major Partner Museum status by Arts Council England and a grant of £3.2m. In reviewing the successful applicants, The Guardian commented that “The Cumbria group stands out as appealing, inventive and new.” The Consortium is funded to deliver exciting and innovative programmes that will celebrate excellence, raise standards and ensure that more people experience and are inspired by the richness of Cumbria’s museums. They are looking to recruit an experienced and committed person to lead in the planning, development, delivery and evaluation of the Trust’s community outreach programme. You will have experience of planning and delivering successful community-based projects, of networks and building fruitful partnerships. This post, funded by Arts Council England, offers an opportunity to make a major impact on one of the country’s leading literary museums, enhancing engagement with local communities and fostering individual wellbeing. 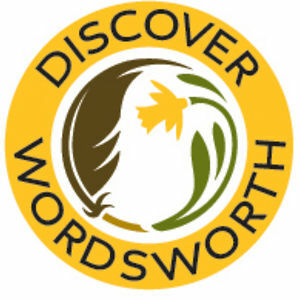 For further details and an application pack, please contact: Catherine Harland, The Wordsworth Trust, Dove Cottage, Grasmere, Cumbria LA22 9SH; c.harland@wordsworth.org.uk The closing date for applications is 4pm on 11th October 2013. It is expected that interviews will be held on 24th October.